Ahead of Black Friday and the holiday shopping season, some retailers are looking rosy. Michael Kors (KORS), Dicks Sporting Goods (DKS), TJ Maxx (TJX), Saks (SKS) all reported their latest quarterly results Tuesday. Shares of each moved higher. 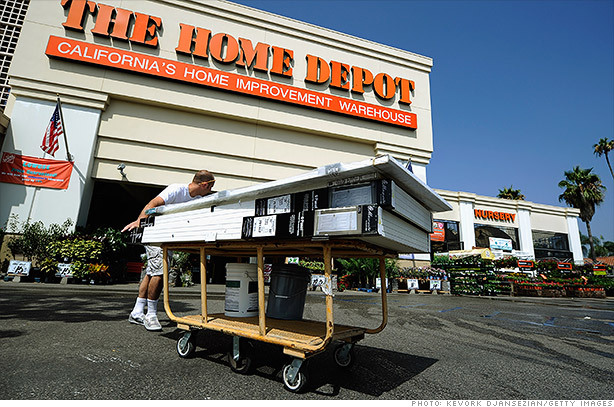 Home Depot (HD), which isn't as much of a Black Friday beneficiary, also posted strong results and cited the ongoing housing recovery. Shares of Home Depot and Dicks Sporting Goods each jumped more than 4%. Investors appear generally pleased with consumers' shopping habits and are optimistic going into the holiday shopping season. Many on StockTwits are too. TJAnderson: $HD making all time highs off chatter on the conference call...said they didn't factor numbers from Sandy into guidance !!! Hurricane Sandy might continue helping Home Depot, but companies like Dicks Sporting Goods had even more surprising reasons for a sales pickup: gun sales. firstadopter: $DKS call: firearms sales very strong (sigh) "spiked since the election"
Overall, it appears that the luxury retailers, such as Saks, are giving traders the most reason to pause right now. Investors pulled $1.9 billion from U.S. stock mutual funds during the latest week, bringing the year's total outflow to more than $110 billion. With the two-day market shutdown due to Hurricane Sandy, investors didn't do much with their money last week. Overall, they pulled $488 million from long-term mutual funds in the week ended Oct. 31, according to the Investment Company Institute. But that's far less than normal.